Yep, that’s right. You take me for a nice hike in the morning and give me a few food puzzles to work on and I’m usually pretty good for the day. In fact, as you are reading this, I am probably curled up asleep in a sun spot somewhere thanks to the fact that my Foster Mama already gave me a walk and my breakfast this morning. Anybody else up for a sunny afternoon snooze? To adopt Johnnie Cash and have an afternoon nap buddy, email peacelovefoster@gmail.com! 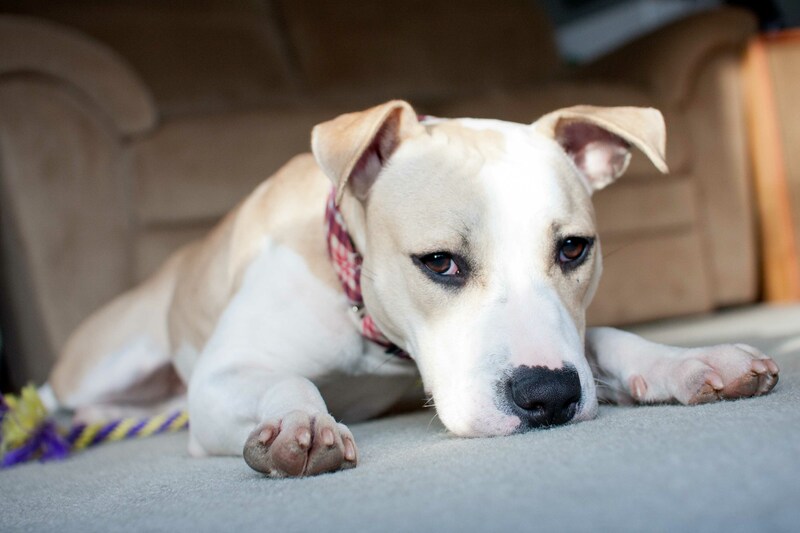 This entry was posted in Dog talk, Johnnie Cash, Photography, Rescue/Humane Society, Uncategorized and tagged adopt me, adoptable pit bull, dog lying in the sun, foster dog, Johnnie Cash, lazy sundays, pit bull mix, sun spot, why you want me wednesdays. Bookmark the permalink. She has the cutest feets! 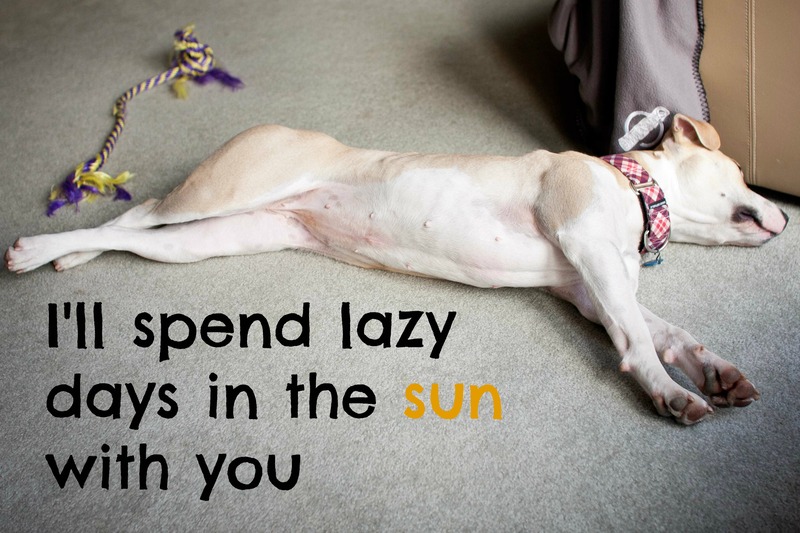 Ah, what a way to spend the perfect day – curled up in the sun!